It was a pleasure and a privilege to take part as a historian on the Operation Reflect Staff ride in 2018. This was the last of the staff rides organised by the British Army as part of its reflections on the centenary of the First World War. It was fascinating to see what lessons from 1918 might be relevant to 2018 and where the insights gained might help the modern army face future challenges. I had been a historian for the staff rides in 2015 and 2016, which looked at the lessons from the Somme. 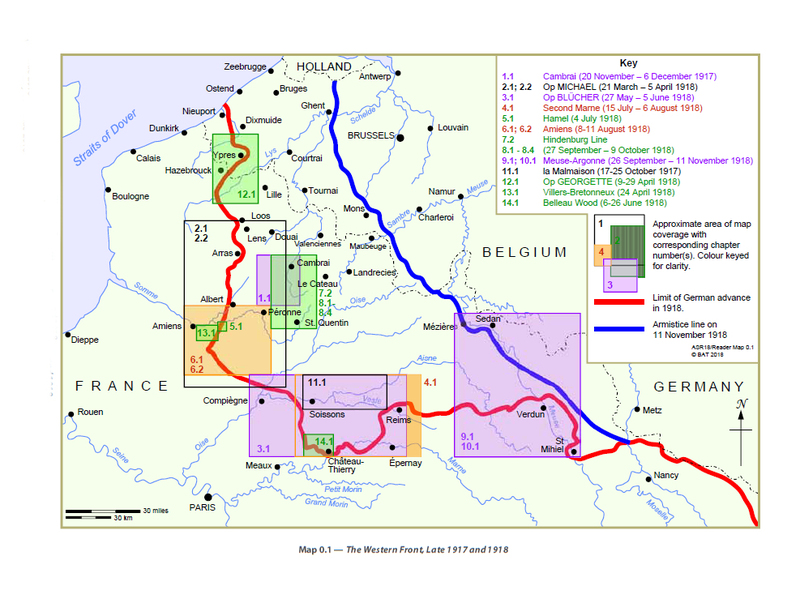 This time we looked at the operations of the year from November 1917 to November 1918, from Cambrai to Sedan. After the rumble of British tanks, the first sessions looked at the Germans from their counter attack at Cambrai in November 1917 through the spring offensives to the Aisne. Then the French in adversity on the Chemin des Dames to the counter offensive in July – the turning point of the war. Then a British section from Le Hamel to Breaching the Hindenburg Line at Riqueval. The finale was the advance of the AEF from Vaquois to Sedan. Dotted around were a couple of TEWTS posiitoning participants as divisional commanders in a hypothetical war against an aggressor over the same terrain. 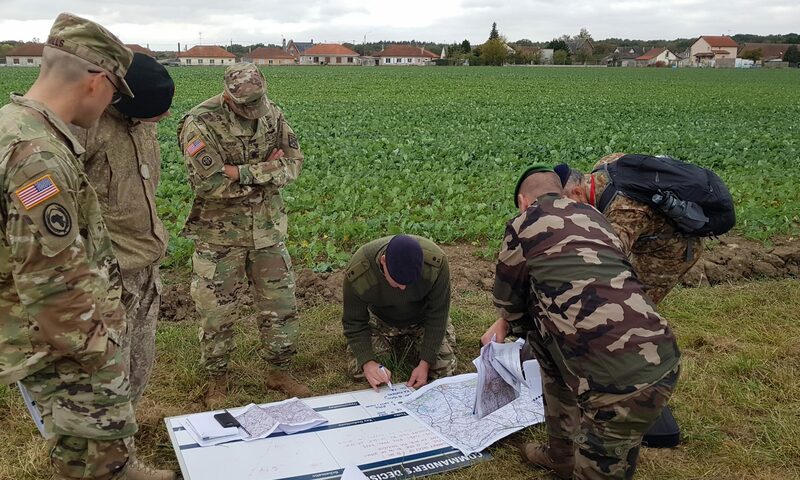 There is a difference between serving as a battlefield guide for a battlefield tour and a battlefield historian supporting a battlefield study or staff ride.